Coffee connoisseurs, this one’s for you. Cafe Latte e-liquid by Webster’s One Pound Wonder is packed with rich and robust coffee flavour, topped off with a touch of milk. 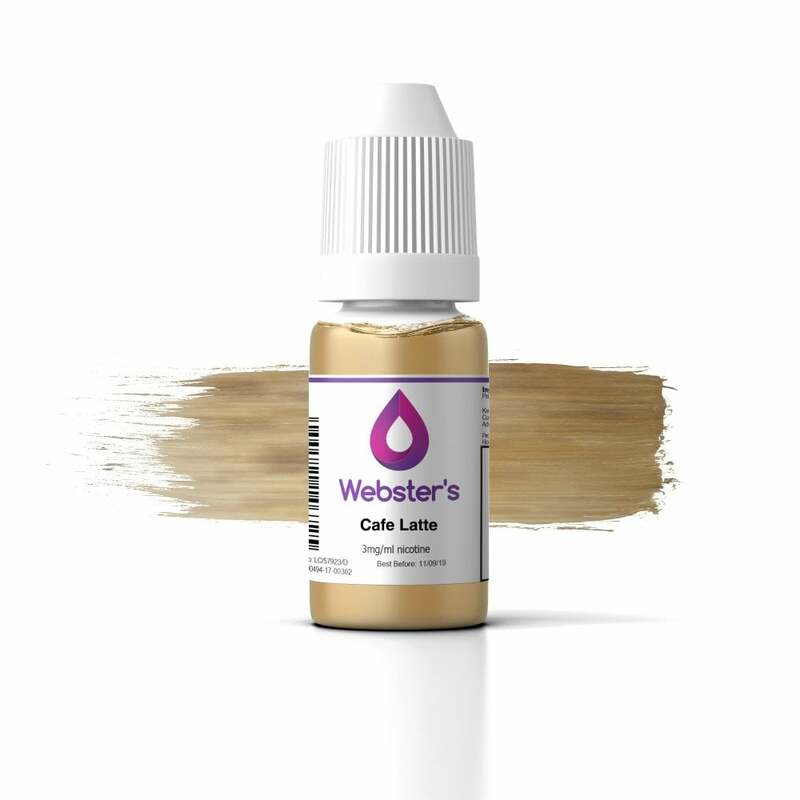 Whether you like a coffee first thing in the morning or last thing at night, Webster’s Cafe Latte e-liquid is the perfect choice for taking a little time for yourself. Cafe Latte is not a bad description of this liquid but I definitely get a taste of popcorn as well! It's a nice vape though. It does what it says on the tin. However even at 18mg not quite strong enough. It's back to cigar flavour for me. Not for me, but if you like coffee vaping, for £1.00 give it a go. Not outstanding, but very acceptable for the price. Horrible taste, the worst ever...and for a long time it lingered around ....could taste it even after changing e liquid. Straight to bin. Really, really awful taste. I'll be throwing it straight in the bin. Excellent smooth deep flavour, well packaged bottlebottle, superb value for money for an item just introduced into a highly competitive market. Good strong in your face coffee hit. The smell was really nice, the taste was so bad I threw it in the bin.